Aside from its codename, we know little about Nintendo's in-development "NX" console. Yesterday, however, Japanese publication Nikkei claimed to have hit upon a particularly juicy detail about the next-gen gaming system, with its sources stating the NX will run some form of Google's Android OS. The rumor wasn't exactly far-fetched, given Nintendo's plans to get into mobile games this year; but alas, it appears to have been a blast of hot air. Today, a Nintendo spokesperson's commented on the hearsay -- or rather, shot it down in flames -- declaring "There is no truth to the report saying that we are planning to adopt Android for NX." Denials don't get much clearer than that, but hopefully whatever platform Nintendo's outfitting the NX with will be less Wii U, more 200cc. The NX console isn't the only product Nintendo's working on behind the scenes, naturally. Via a Direct Micro video session, the company has now shared an outlook of its game plan for this year and beyond -- though we're sure it's not telling useverything. 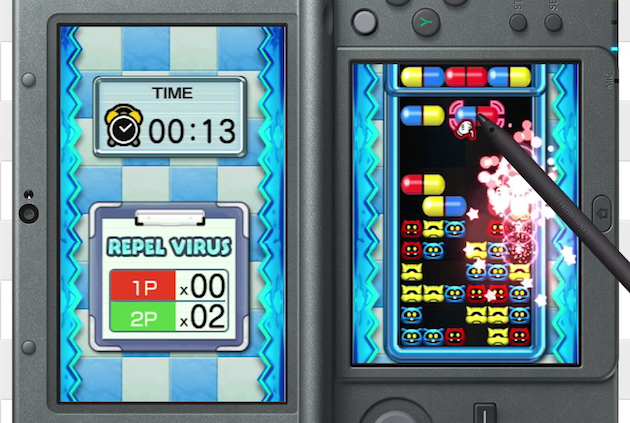 Most notably, Nintendo revealed the Dr. Mario franchise is making a comeback with Dr. Mario: Miracle Cure, which will be launching for the 3DS on June 11th (exclusively in the eShop). But there's more: Bravely Second is finally coming to North America, where it's going to be available on the 3DS sometime in 2016. With E3 starting next week, we're going to hear plenty of news from companies like Microsoft, Sony and yes, Nintendo. The company's Digital Event on June 16th promises new games for the handheld 3DS, making this a great time to upgrade to aNew 3DS or 3DS XL. The latest 3DS offers improved 3D capabilities, built-in NFC support for your Amiibo figures and even a new C stick and ZL and ZR buttons for more control options. Nintendo has also said that some future games will only work on a new 3DS, making an upgrade necessary if you want to play some of the latest titles. While we certainly enjoyed the New 3DS' added features in our review, we'd like to know how it actually worked out for our readers. If you've picked up a New 3DS or 3DS XL since its release, let us know how you've been enjoying it by writing a reviewon its product page. We'll do a roundup of the best user reviews to find out if this upgrade is worth your hard-earned scratch. Nintendo's 3DS handheld has sold more than 15m units in the US life-to-date, Nintendo of America has announced. The milestone accounts for all iterations of the 3DS sold in the US, with the company stating its the eighth Nintendo platform to hit the figure. That said, Games Industry notes that the 3DS is still trailing the performance of its predecessors by a fairly wide margin. Nintendo reported in March that the system had sold a total of 17.5m units in the Americas over five fiscal years. The DS moved 29.9m units across 10 years, the Game Boy Advance sold 41.6m over seven years, and the original Nintendo Game Boy sold 44m units over a span of only five years. 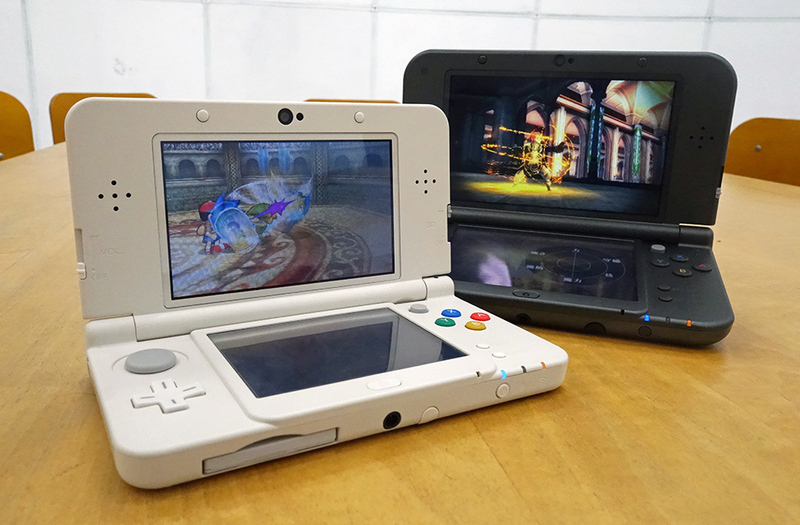 Still, the 3DS has been gaining sales momentum this year – thanks in major part to the February launch of the New 3DS. Hardware sales for the handheld have been up more than 50 per cent year-over-year over the first six months of 2015. Nintendo of America executive VP of sales and marketing Scott Moffitt spoke on the handheld's positive results – especially in recent times. "While crossing 15 million units is certainly a significant milestone, we are equally excited about the new momentum we've created in 2015 thanks to new hardware and an unrivaled library of software," Moffitt said. "With more great games on the way and a hardware system for every type of gamer, 2015 is shaping up to be one of the stronger years yet for Nintendo 3DS in the United States." This morning, Nintendo revealed their scheduled for E3, where they will show games being published in 2015, as well as select titles scheduled for 2016. Like last year, the company’s E3 presence will span more or less the entire week. Here’s the full list of events:Super Smash Bros. new content presentation:Sunday, June 14th | 7:40 am PSTPre-E3 Nintendo Treehouse Live@E3:Sunday, June 14th | 2:35 pm – 3:00 pm PSTNintendo World Championships:Sunday, June 14th | 3:00 pm – 6:30 pm PSTNintendo Digital Event:Tuesday, June 16th | 9:00 am PSTNintendo Treehouse Live@E3:June 16th – 18thNintendo Access: Mario Maker @ BestBuy:Wednesday, June 17th | 4:00 pm – 9 pm Local TimeSaturday, June 20th: | Noon – 5 pm Local TimeAll of Nintendo’s E3 streams will be viewable at their E3 website, on YouTube, and and their Twitch Channel. [Iwata] Good morning, everyone. E3 is finally starting. E3 is the games industry’s biggest trade fair, which takes place once a year in Los Angeles. From today on, during E3 I’ll be tweeting using the Nintendo Official account with the hashtag #Iwatter. [Iwata] Because of the operation I underwent in June last year, I’ve become a little thin. My weight has more or less remained the same since I left the hospital and it seems as though I’ll be able to maintain this figure, so I decided to update my official Mii to reflect my present condition. Please be kind to it. [Iwata] With the exception of last year, I’ve been going to E3 every year. However, as there’s no new hardware to present this year and considering the fact that a general meeting of shareholders is planned for the week following E3, I will remain in Japan this year. My role at E3 this year is to relay everything happening at E3 to everyone that’s in Japan. 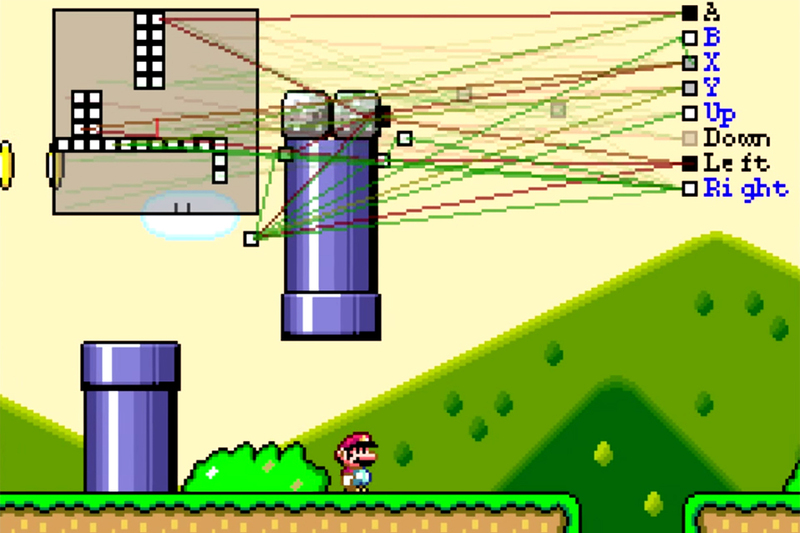 Perhaps it's that all the levels have simple, left-to-right objectives, or maybe it's just that they're so iconic, but for some reason older Mario games have long been a target for those interested in AI and machine learning. The latest effort is called MarI/O (get it? ), and it learned an entire level of Super Mario World in 34 tries. 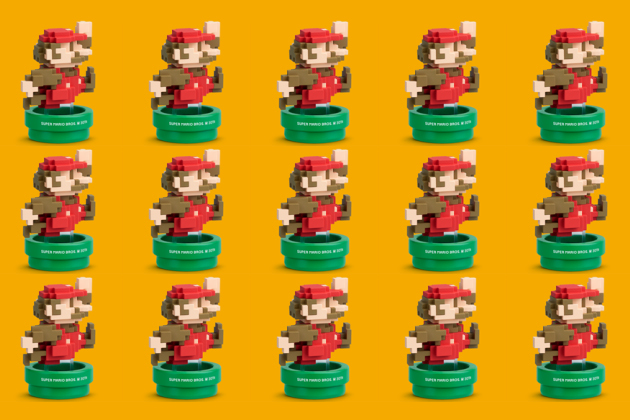 It should come as no surprise, given Nintendo's propensity for creating Mario games, that the company can't stop making Amiibo based on its most-famous character. Since the NFC toy line was introduced last November, we've already seen five: Super Smash Bros. Mario, Mario Party Mario, Gold Mario, Silver Mario and Dr. Mario. Thanks to an email from Nintendo Spain (first spotted byNintendo Inquirer), it appears there's going to be a sixth: 8-bit Mario. The newsletter included an image of the retro-styled figurine along with a shot of an unannounced Animal Crossing collection that'll feature at least four characters from the series. The senior manager of marketing in Nintendo of America’s licensing department has urged the company’s fans to be a bit more adventurous with the digital content they buy. "It seems like a lot of the Nintendo fans and consumers they gravitate towards nostalgia, they gravitate towards platformer and puzzle action games," Damon Baker told Gamasutra. "If I had one wish to be fulfilled, I would love to see Nintendo fans and consumers take more risks on eShop." Nintendo last month offered its first ever Humble Bundle. When asked how well the promotion went, Baker said the platform holder was “quite pleased”, adding: "The main objective of the promotion was really to reach a wider audience, and let as many people know about this great indie content as possible." However, one thing the company will continue to shy away from is funding indie game development or paying for timed indie exclusives. "We've given lots of thought to it," Baker claimed. "Nintendo is pretty famous for being pretty tight with our money; we want to be efficient with our funds. We continue to look for other ways to promote that key content, and that stuff we consider to be priority." Nintendo has promised to do “better” at E3 next year following the angry reaction from many fans to last night’s showing. A Neogaf thread reacting to Nintendo’s Digital Event has now reached 188 pages, most of which comprises statements of disappointment and anger. “I was literally shaking with anger during that conference. Tears formed in my eyes and my fists were clenched. ‘Announce something,’ I shrieked at my computer,” one especially aggrieved user said. “I'm 31 years old and this was, without a doubt, the worst conference I've ever seen in my life. It's clear that Nintendo is not just done with the Wii U but done with the company. There is no recovering from a conference that bad. By far the most furious response came following the announcement of Metroid Prime: Federation Force. This seems to have been perceived by many fans as a personal insult, especially as rumours had pointed to a possible new ‘proper’ Metroid title from Retro Studios. So enraged are some that the option simply not to buy Federation Force is not sufficient. Instead, they are demanding that its very creation be abandoned, presumably for fear that its existence alone will be enough to inflict significant emotional wounds. “With the release of the Wii U and its greater technological capabilities thousands of fans were expecting a new and improved Metroid game. What we got however is a disgrace of a game with the name ‘Metroid’ slapped on the title,” a Change.org petition states. Norwegian computer programmer and skydiving champion Kjetil Nordin put over 800 hours of work into researching and crocheting this lovely recreation of the map for Super Mario Bros. 3 World 1. Redditor Buttermynuts spent several minutes making it into this equally lovely GIF. Anyone with basic crochet skills and a whole lot of free time can make a map out of yarn, but Nordin went several extra miles, researching the exact yarn colours needed to emulate the map—which Reddit points out seems to be for the Super Mario All-Stars version of the game—going as far as to scrap an entire section and restart when the water turned out a bit too purple, as reported by NRK (via IGN). Redditor AlexKingshill, posting as a friend of the creator, uploaded a slew of lovely shots of the gorgeous piece. Today we present GATEWAY ULTRA 3.2.2!This is just a quick update for Old 3DS Emunand, bringing support for the latest 9.8 system firmware.We’re still very busy with many interesting things, more to come soon! After several months of waiting, Nintendo has released a new update for the Wii U, and it is noteworthy that it is the first so far in 2015 . This is the version 5.4.0 , which brings small but important changes ultimately after. Official information is almost zero, but as users have been able to better understand the true details of this release. We hope that Nintendo continue to work to further enrich the user experience with Wii U. If your graphic features, you use the launcher "USB Loader GX" to load your backups, and ever thought of changing the subject of this loader, but did not know how to do it, then your hopes ended, he has finally come the application can do it! "USB Loader GX Theme Creator" . While we are all focused on E3, developer Marionumber1 released a userland exploit for Wii U triggered by the web browser. This Wii U hack lets you run unsigned userland code. If you are following us and you didn’t update your Wii U to the latest 5.4.0 firmware, your Wii U is vulnerable for this exploit. The libwiiu repository makes it possible to compile C code, embed it inside a webpage then execute it via the web browser on Wii U. At this point, this is mostly aimed for developers and not end users but expect more soon. <img class="wp-image-26836 size-full" src="http://wololo.net/wagic/wp-content/uploads/2015/06/fotoğraf-3.jpg" alt="Wii U hack - Taken from my 4.0.2 Wii U. Script is premade so don't mind the 5.3.2 there." width="1632" height="1224" />Taken from my 4.0.2 Wii U. Script is premade so don’t mind the 5.3.2 there. Right now this Wii U hack can be used on firmwares 3.x.x, 4.0.x, 4.1.0, 5.0.0, and 5.1.0 according to the Readme file on the repository though it is confirmed the vulnerability is there on 5.3.2 too. There is still ongoing work for the 5.3.2 firmware. The exploit is not compatible for 5.4.0 firmware users though. As this is a userland exploit, backup loaders or any modification that requires kernel level access is not possible. What do you think about this new exploit? Please share your ideas in the comment section below. Also special thanks to user Adr990 at gbatemp.net to host a website so that i could try the “Hello World” myself on my Wii U. King of Kings is now in English! Here to announce the completion of King of Kings for the NES by Namco! This game which inspired Megami Tensei, is a strategy game where you the player must defeat Lucifer and his demons and reclaim the land. There are up to 22 different kinds of playable units in the game to select from in order to defeat the enemy. There is also a multiplayer mode in which up to 4 players can fight against each other as well if you wish to play amongst friends. For an old title the game is involved but if you like strategy games, you should give this one a try! Long has been the wait for a completed Dark Half translation, but in association with Eien ni Hen and with the blessings of Klepto Software, Aeon Genesis has pulled it off! AGTP picked up Dark Half about nine months ago after Eien ni Hen talked about it in the Rom-Hacking Histories podcast. Hacking began in earnest when Eien ni Hen turned in a script about four months ago. The end result is the polished, high-quality, and hopefully bug-free translation available now! This one has been a long time coming, so please enjoy it! After what feels like way too long, and it actually is, since it's been 2 years since the release of issue 7, we are back with issue 8 of the UK N64 Magazine. This has been a troubled issue for us due to various hard to fix restoration issues that popped up as we went through it. But it is finally completely restored and ready to be released. We begin with a look at the arcade racer San Francisco Rush. Then we take a peek at the Japanese version of Bomberman 64. From here we go to the review for the cover story: Lylat Wars / Starfox 64. And finally we have a double header with Multi Championship Racing vs Top Gear Rally. Nintendo design legend Shigeru Miyamoto has openly discussed the Wii U’s market struggles, blaming the machine’s high RRP and the rise of tablets for its inability to take off. “The price point was one that ended up getting a little higher than we wanted,” the developer told NPR. “But what we are always striving to do is to find a way to take novel technology that we can take and offer it to people at a price that everybody can afford. “[But] I don't think it's just price, because if the system is appealing enough, people will buy it even if the price is a little bit high. I think with Wii U, our challenge was that perhaps people didn't understand the system. “Also I think that we had a system that's very unique — and, particularly with video game systems, typically it takes the game system a while to boot up. And we thought that with a tablet-type functionality connected to the system, you could have the rapid boot-up of tablet-type functionality, you could have the convenience of having that touch control with you there on the couch while you're playing on a device that's connected to the TV, and it would be a very unique system that could introduce some unique styles of play. “I think unfortunately what ended up happening was that tablets themselves appeared in the marketplace and evolved very, very rapidly, and unfortunately the Wii system launched at a time where the uniqueness of those features were perhaps not as strong as they were when we had first begun developing them. 3DS Custom Firmware “Pasta CFW” has been updated to Version 1.3 (beta3). Most important feature for this update is “Firmlaunch”. Firmlaunch lets you spoof your New 3DS firmware to 9.5 and Old 3DS firmware to 9.6. Pasta CFW is a custom firmware for 3DS. It lets you install and run unsigned .cia files. It is an open source project and new features are added by every update. Right now, it works up to 9.2 firmwares on both original and new 3ds. It requires a Cubic Ninja cartridge to boot. If you are on 4.x original 3DS, you can also use the DS Profile (MSET) exploit, this way you won’t need Cubic Ninja. Pasta CFW can do things Gateway can’t (GBA/DSiWare games booting, being able to use SaveDataFiler to extract saves from retail cartridges) and can’t do some things Gateway can (EmuNAND support, MSET support for new 3DS via downgraded system settings, spider entry point for original 3DS). Still Pasta CFW is a good alternative, it doesn’t need a flashcart, it is open source and developers behind it are open to suggestions. With the latest update, Pasta CFW can use Firmlaunch. “FIRMLAUNCH is a feature that allow launching titles that requires a higher FIRM version that the one you have.” says motezazer, one of the developers of Pasta CFW. Think of it like a firmware spoofer, it is not the same thing but you get the idea. Right now it supports up to 9.5 fw on New 3DS and 9.6 fw on original 3DS. Thanks to this update, Xenoblade Chronicles which need 9.3 firmware finally works on New 3DS via Pasta CFW. As there is still no way to have gateway/custom firmwares on firmwares above 9.2, this feature is a great addition to Pasta CFW. Also WIP features include EmuNAND support and spider entry point. I can’t wait to see these features included in Pasta CFW. After 8 years of on/off development Super Baldy Kart is finished, making it the most comprehensive hack of Super Mario Kart to date. The aim of this hack was to make something that was unique fun to play with good quality tracks. Features include: All new racers each with their own unique driving style, with unique but balanced attributes. 20 brand new tracks that have been rigorously tested and refined. New points system. New items probability sets. 8 unique themes with changed music, animations, tile types. All new menu screens. Updated demos. New victory tunes. Audio hint for Boost start. Easter eggs. Many other changes including: objects, graphics, music, demos, podiums, fonts, ending, and game play. Enjoy this all new game. - Added: TheGamesDB.net integration, ability to search and download images and info from TGDB for each info tab and/or using "Detect TGB" new feature. - Added: Band-Limited Sound Buffer "Blip_Buffer" for sound playback downsampling. - Added: auto synchronization method for sound playback, fixed the sound synchronization lose issue. - Fixed: bug when attempting to show the boards list. - Improved: sound playback, now it's more accurate and the emulation goes faster. - Improved: image viewer (snapshots and covers) in the Launcher with nearest-neighbor interpolation. - Improved: assigning and adding files for database entries optimized in the Launcher, now it's faster with compressed files. - UNIF 158B - new board for "Blood of Jurassic" dump. - Blood Of Jurassic (GD-98)(Unl)[U][!]. As I promised, here is one more dump from a bunch of the carts provided by Oreanor. Judging from the copyright screen, this game was released by company "Paradise Science & Technology Co." in 1997 year, but I haven't seen this game or cart before. The company itself is known for its copyrights on some other pirate originals, mostly known for "97' Hui Gui Gang Jing La Li Sai (Super Hang-On) (GD-97)", where there are the same copyrights are present. Some other games like "F-22", "Alps Skiing", "Underground Mission" or "Monkey King" (can be found now on some OneBus systems like "100-in-1 Arcade Action II (AT-103)" or "12-in-1 Console TV Game Cartridge" I dumped before) has this copyright screen inside its ROMs but disabled and it can't be seen during the game. This is a Light Gun only game and you can shoot various dinosaurs with your shotgun on 6 different levels. Althougth the game itself seems pretty original, the sound engine clearly stolen from the SunSoft games, maybe some music tracks too, hard to say without digging into it currently. Most annoying thing about this game, even if this working under regular MMC3 (mapper 4), it has some copy protection scheme on board which is used for decrypting some game code and integrity checks. - Battle Tank (R)[! ], Billiard (Side Pocket)(R)[new!]. Thanks a lot for providing his carts and apartment for dump to our today sponsor Oreanor! He has a lot of interesting carts, which I couldn't access for two last years from him, but this time I finally managed to do that. Too much dumps for a single post, so I decided to put most of it now, and the rest and the best a little later, when I finish with protection and mapper emulation. So, let's start with the most exciting russian version of "Battle Tank" from the 1996 year made by "Magic Inc." who the hell they are. Most of text and interface are translated excluding only the title screen itself. So one more russians from the list dumped, nice. The second dump was already dumped and released here before, but this time it have one-byte difference, which is the same as in original US version, so maybe previous dump was some kind of broken, probably it was flashed with such wrong byte initially. So put this version for sake the great justice. - Tank (Caltron, CN-16)(Unl)[! ], Dream Fighter (Caltron, CN-17)(Unl)[!]. Recently, TeamEurope dumped two single-cart versions of ASDER/NTDEC games with NTDEC copyrights on its titles, only available previously on "20-in-1 Asder" multigame carts. There is at least one more known single cart dump of "Dream Fighter" known as well, with ASDER copirights on the title. These two new dumps has the title copyrights for CALTRON itself, but nothing really other seems different. These carts are popped out on the auctions a lot of times, so I don't know why they are still undumped. - Metroid - Jin Ji Zhi Ling (FDS Conversion)(Kaiser)(KS7037)[U][! ], Super Mario Bros. 4 (FDS Conversion)(Unl)[!]. Both these dumps was dumped by our chinese friends a long time ago and its mappers are supported in FCEUmm/FCEUX for a long time either. Now I have posessed the physical carts and tried to redump them to be sure all dumps is ok. Dumps are matched and so they are ok now to be released. Both are some kind of rare conversions of the FDS versions to the Cartridge format. Metroid is missed a lot of stuff, and I don't know how this supposed to be played without passwords (which has not available in this version) and saves (which was removed during conversion). Mario is a hevily hacked version of SMB2j by Kaiser. A multigame is just for fun, since it's generic 176 mapper with 3Mb of data on board. Better supported in FCEUmm rather than FCEUX now due some reasons. - poc: better timing (freshen_waitcnt, ram/flash wait, 16bit/32bit bus, cpu clk). byuu has released his new version of his multi-system (NES, SNES, Game Boy, Game Boy Color, Game Boy Advance) and subsystems (Super Game Boy, BS-X Satellaview, Sufami Turbo) emulator higan (formally bsnes). [Qt] Added the ability to launch games. Well it was bound to happen, but bunnei has posted a pic of Mario Kart 7 in game on the 3DS emulator citra, with the title MK7 has fallen! Whats your thoughts on this? I'd love to see what you guys think! Manu Löwe currently works on a new Super Nintendo Entertainment game named Furry RPG. It’s in heavily development and no where near done, but if you love to follow projects from scratch, this one might be the one to follow. He is currently playing around with the implementation of Mode 7 and other things. So go and check it, but do not expect a full game yet. Damian Yerrick aka tepples provides us with an “Overclock Demo“. How far can you push your NES system? Be aware that it might cause a damage, especially if you use it far too long or in an unappropriated way. justburner propose la version 0.60 de "PokeMini Emulator", émulateur de la console Pokemon Mini pour la nintendo DS. Improved sound latency (thanks BlueCrab). Project64 Git (2015/06/22) is compiled. Project 64 is a proprietary Nintendo 64 emulator for Windows. It employs a plug-in system that allows third-party software developers to create their own implementation of a specified component. 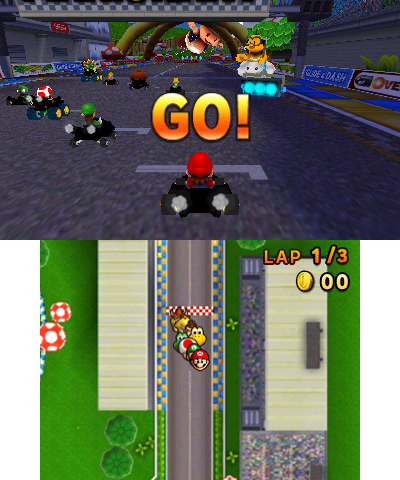 Project64 allows the user to play Nintendo 64 games on a computer by reading ROM images, either dumped from the read-only memory of a Nintendo 64 cartridge or created directly on the computer as homebrew. Project64 started as an exercise by Jabo and zilmar in an attempt to see if they were capable of programming a Nintendo 64 emulator. It's open source now. Fixed a read from over than ROM file. bsnes-classic Git (2015/06/22) is complied. bsnes-classic is a SNES emulator with Qt GUI and debugger. bsnes is an emulator for the Super Famicom and SNES video game systems. The purpose of the emulator is a bit different from other emulators: it focuses on accuracy, debugging functionality, and clean code. HalfNES HalfNES v0.58 is released. HalfNES is an open-source emulator for the Nintendo Entertainment System, written in Java. Currently, it only runs as a standalone Java SE application. Citra Git (2015/06/22) is compiled. This is the trunk of Citra Project. Citra is an experimental open-source Nintendo 3DS emulator/debugger written in C++. At this time, it only emulates a very small subset of 3DS hardware, and therefore is only useful for booting/debugging very simple homebrew demos. Citra is licensed under the GPLv2. Refer to the license.txt file included. Enforce the "no tab, use spaces" policy with a pre-commit hook. mGBA Git (2015/06/21) is compiled. mGBA is a new emulator for running Game Boy Advance games. It aims to be faster and more accurate than many existing Game Boy Advance emulators, as well as adding features that other emulators lack. Ishiiruka-Dolphin Custom Version (2015/06/21) is compiled. This Version complements Official Dolphin-Master giving support for legacy devices, and reducing cpu usage on the graphic thread. The focus is the gaming experience and speed. At the momment the focus is only in Windows DX9/DX11. - Others fixes and little improves. Added and option to apply scaling filter while resolving efb to the screen. this will reduce aliasing when using efb sizes larger than the screen resolution. Dolphin Git 4.0-6820 is compiled. This is the trunk of Dolphin Project. Dolphin is the first Gamecube emulator able to run commercial games! Dolphin is a Gamecube, Wii and Triforce (the arcade machine based on the Gamecube) emulator which supports many extra features and abilities not present on the original consoles. It has a partial Wii support and plays most Gamecube games. DeSmuME SVN r5211 is compiled. DeSmuME is an open source Nintendo DS(NDS) emulator for Linux, Mac OS and Windows. DeSmuME supports save states, the ability to increase the size of the screen and it supports filters to improve image quality. DeSmuME also supports microphone use on Windows and Linux ports, as well as direct video and audio recording. The emulator also features a built-in movie recorder. GPU: - Last major round of code cleanup as a set up for future rework. * Implement special case when 8bit auxiliary I buffer is used as 8bit IA texture. Soft64 Git (2015/06/18) is compiled. Soft64 is a N64 Emulator. Disclaimer You agree to the Soft64 terms when you run Soft64. By agreeing to these terms, you are fully responsible for the risks with Soft64. Soft64 does not support any use of unauthorized copyrighted material of any kind. We will disreguard questions and issues related to software we do not own, we only support the emulator itself. * Fixed a deadlock issue. Fceux SVN r3119 is compiled. FCEUX is a cross platform, NTSC and PAL Famicom/NES emulator that is an evolution of the original FCE Ultra emulator. Over time FCE Ultra had separated into many separate branches. The concept behind FCEUX is to merge elements from FCE Ultra, FCEU rerecording, FCEUXD, FCEUXDSP, and FCEU-mm into a single branch of FCEU. As the X implies, it is an all-encompassing FCEU emulator that gives the best of all worlds for the general player, the ROM-hacking community, and the Tool-Assisted Speedrun Community. revert last 3 commits, experiment failed. its always there if it proves helpful. Azimer's HLE Audio Plugin Git (2015/06/16) is compiled. It is a HLE audio plugin for N64 emulators written by Azimer. Zsnes SVN r5311 is released. Zsnes is a Super Nintendo emulator programmed by zsKnight and _Demo_. On April 2, 2001 the ZSNES project was GPL'ed and its source released to the public. It currently runs on Windows, Linux, FreeBSD, and DOS. Remember that this is a public beta so don't expect this to run on your machine. shouldn't be accessed in SA-1 mode, and if it is, it will buffer overflow. Ensure the correct non SA-1 buffer is used on all access. Thanks Alcaro for reporting and suggested fix. Cen64 Git (2015/06/10) is compiled. Cen64 is a Cycle-Accurate Nintendo 64 Simulator. * Fix a serious typo. * Add (initial) audio support. won't sound as bad as they do in this commit. * Update 8303 CIC checksum. * Add a temporary hack for the CACHE instruction. ambiguous and this seems to float the boat for now. * VI: Save processor context before using floats. * VR4300: CACHE instructions can't cause TLB Mod. * VR4300: Minor pipeline optimizations. * Prevent a possible crash on Windows/SSE2 builds. * Workaround an X11 keypress issue? * Work on cleaning up the build system somewhat. * Mutexes seem to result in better performance? * Commit the new WinAPI user interface. * More cleanup/streamlining of UI pullup. * Commit the new X11 user interface. * Fix comment styles and such things. * Refactor windowing component of VI. * Start working in the new interfaces. threading a bunch of other terrible stuff (yet). * Add low-level memory allocation interfaces. * Migrate keycodes into new directories. * Commit a WinAPI implementation of cen64_gl_*. * Commit an X11 implementation of cen64_gl_*. * Add a function to save/restore hostregs. lsnes rr2 beta 23 is released. lsnes is a SNES rerecording emulator based on bsnes core. * wxwidgets: Hide dumper called "NULL"
RSP Git (2015/06/08) is compiled. RSP is a plugin for Project64. * Do the same commit as before, but with `rt'/`vt'. * Do the same commit as before, but for `rs'/`vs' this time. * Optimize register allocation and timing: Do not set rd globally. My old reasoning behind that method was that the compiler would decide where to inline setting rd within which switch cases on my own, but now I can see it best plainly to decide for myself where rd should be locally initialized. This also helps prevent the problem of assigning a bitmask to the rd register specifier as an unnecessary precaution for op-codes that don't even access register[rd]. "We don't have anything to announce, but I can say that we're certainly exploring options and capabilities," Nintendo of America’s third-party relations and indie development boss Damon Baker told Polygon. "So anything is possible. I guess the important part of it is we're very conscious of it and definitely looking at it. "Working out some of the kinks, the server loads or what matching those expectations so that it's a prime experience when it does, when the full version actually launches. So there could be some benefits there, but I think it's a very sensitive topic, because you wouldn't ever want to ask for money for something that doesn't become fully-realized." An anonymous reader writes with a Georgia Institute of Technology report that researchers there have createda computing system that views gameplay video from streaming services like YouTube or Twitch, analyzes the footage and then is able to create original new sections of a game. The team tested their discovery, the first of its kind, with the original Super Mario Brothers, a well-known two-dimensional platformer game that will allow the new automatic-level designer to replicate results across similar games.Rather than the playable character himself, the Georgia Tech system focuses instead on the in-game terrain. "For example, pipes in the Mario games tend to stick out of the ground, so the system learns this and prevents any pipes from being flush with grassy surfaces. It also prevents "breaks" by using spatial analysis – e.g. no impossibly long jumps for the hero." A second of Nintendo’s highest profile executives has said that Nintendo is not convinced by the current virtual reality boom. "The current types of virtual reality aren't really a good fit for Nintendo's philosophy of trying to create entertainment that people can play together in the living room," development boss Shigeru Miyamoto told Yahoo. "We're constantly looking at different technology and experimenting with different elements of it, but we're not feeling virtual reality is currently in a place where it's ready to be released – as a product that fits with our philosophy of fitting in the living room." The comments follow similar sentiments from Nintendo’s American boss Reggie Fils-Aime, who said earlier this month at E3: "What we believe is that, in order for this technology to move forward, you need to make it fun and you need to make it social. “I haven't walked the floor, so I can't say in terms of what's on the floor today, but at least based on what I've seen to date, it's not fun, and it's not social. It's just tech." Fans left disappointed by Nintendo’s anaemic E3 showing should not worry about ongoing software support for their current systems, the platform holder says. “The NX is new hardware, and will start from zero. However, the 3DS and Wii U have install bases. Immediately cutting off software for previous hardware upon the release of a new machine is inefficient,” Nintendo president Satoru Iwata has told investors, according to a Twitter translation. Some suspect that Wii U owners may have little in the way of new software to come, what with the scarcity of announcements at E3 and Nintendo’s decision to announce that development has begun on its next machine. The company has also had to dispel fears that its next Zelda game has dropped the Wii U.
Iwata has reiterated, however, that the only reason the NX was announced so early was to dispel fears that the company may abandon home consoles in the wake of news that it is branching into mobile. Iwata has previously hinted that the NX could exist alongside the Wii U and 3DS, although the statement was certainly open to interpretation. Nintendo development boss Shigeru Miyamoto is not leading development of the NX, it has been revealed. The site added that the early reception from third party partners to the hardware following behind-closed-doors briefings at E3 earlier this month were ‘positive’. 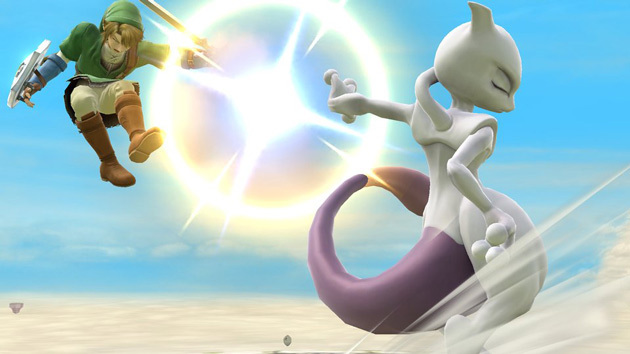 “For us, the next step is to think about what is going to be that element that is really going to catch the attention of a large number of players again and get them excited,” Shinya Takahashi of Nintendo’s Software Planning and Development Division added. Miyamoto went on to reiterate the argument he made earlier this month that the surprise of the tablet PC is the chief cause of the Wii U’s failure. The machine is currently the slowest selling home console in the company’s history. “I feel like people never really understood the concept behind Wii U and what we were trying to do,” he argued. “I think the assumption is we were trying to create a game machine and a tablet and really what we were trying to do was create a game system that gave you tablet-like functionality for controlling that system and give you two screens that would allow different people in the living room to play in different ways. Like a bank foreclosure on Scrooge McDuck's vaults, Nintendo is going to take away all of your Club Nintendo coins - if you don't spend them by 11:59 PM Pacific tomorrow, June 30, that is. The service is shutting down, meaning you have just a little more than 24 hours to log in and grab whatever goodies you can afford with all the digital currency you've been hoarding. For years, Club Nintendo offered fans a way to earn free games and swag from The House That Mario Built; through this loyalty program, players would register their games to receive virtual coins, which could in turn be used to purchase more games. Sadly, the company announced Club Nintendo's closing in January, which brings us to today's friendly reminder. Nintendo has yet to reveal Club Nintendo's successor, but we have a list of features we'd like to keep when it rolls around. Art books and bonus swag - are you listening, Nintendo?